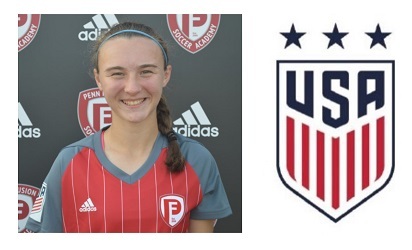 9.1.17: Penn Fusion's EMILY GRAY has been selected for the U.S. U19 Women's National Team who will be participating in the CFA International Women's Youth Football Tournament in Duyun, China. Gray, a member of the U19 Girls Development Academy team, was one of 22 players called up for this trip. The tournament opens on September 10 vs Japan. They will also play China and Iran. All the players on this roster are age-eligible for the team that will attempt to qualify for the 2018 FIFA U20 Women's World Cup. Congratulations Emily! Story.